Wyoming Sawmills Inc. v. United States Forest Service. The Becket Fund for Religious Liberty (n.d.). Retrieved from https://www.becketlaw.org/case/wyoming-sawmills-inc-v-united-states-forest-service/. Wyoming Sawmills Inc. v. United States Forest Service. (Apr. 04, 2019). https://www.becketlaw.org/case/wyoming-sawmills-inc-v-united-states-forest-service/. "Wyoming Sawmills Inc. v. United States Forest Service." The Becket Fund for Religious Liberty. Accessed [Apr. 04, 2019]. https://www.becketlaw.org/case/wyoming-sawmills-inc-v-united-states-forest-service/. Medicine Wheel is a sacred prehistoric stone circle about 80 feet in diameter that was constructed by the aboriginal peoples of North America. Although the age of the structure is unknown, archaeological evidence indicates that human presence in the area goes back for 7,500 years or more. Medicine Wheel remains a site of religious and cultural importance to the various Native American tribes in the region, who have gathered there for religious and other purposes for centuries. 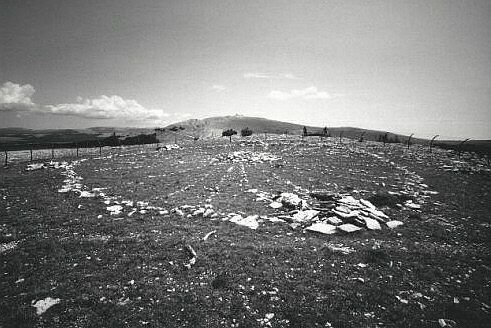 In 1996, the Forest Service formulated a Historic Preservation Plan (“HPP”) to preserve the Medicine Wheel landmark and other valuable historic sites in the vicinity and make them accessible to both Native Americans who regard the sites as a sacred part of their culture and to the many interested visitors who travel to the mountain each year. However, a private sawmill corporation wanting to use the property for commercial purposes, sued the forest Service over the Historic Preservation Plan claiming the accommodation for religious exercise of Native American faiths violated the Establishment Clause. The sawmill lost at the district court level, then appealed the case to the 10th Circuit. Enter Becket. Bringing together a vast coalition of Christian, Jewish, and Muslim organization, Becket filed an amicus brief emphasized that it is constitutional—even laudatory—for government to accommodate the religious practices of its people. Additionally, that this is a legitimate secular purpose of civil government. The 10th Circuit ruled for protecting the sacred Indian sites, dismissing the sawmills claims of First Amendment violations. The U.S. Forest Service was represented by the Department of Justice and the U.S. Attorney’s Office. Baldwin, Crocker & Rudd and the Association on American Indian Affairs defended Medicine Wheel.